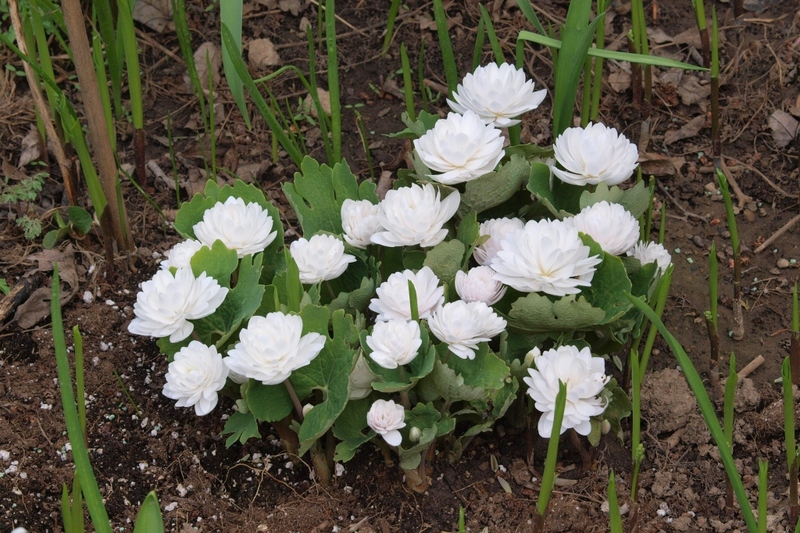 Sanguinaria canadensis is a herbaceous perennial native to eastern North America including southern parts of Manitoba, Ontario, Quebec and the Atlantic Provinces. The Multiplex form is a mutant discovered near Dayton Ohio in 1916 by an amateur botanist Mr. Guido von Webern who had a love of nature and a perceptive eye. The Multiplex form is a sterile plant that cannot set seed as all stamens and even the carpals are transformed into petals. 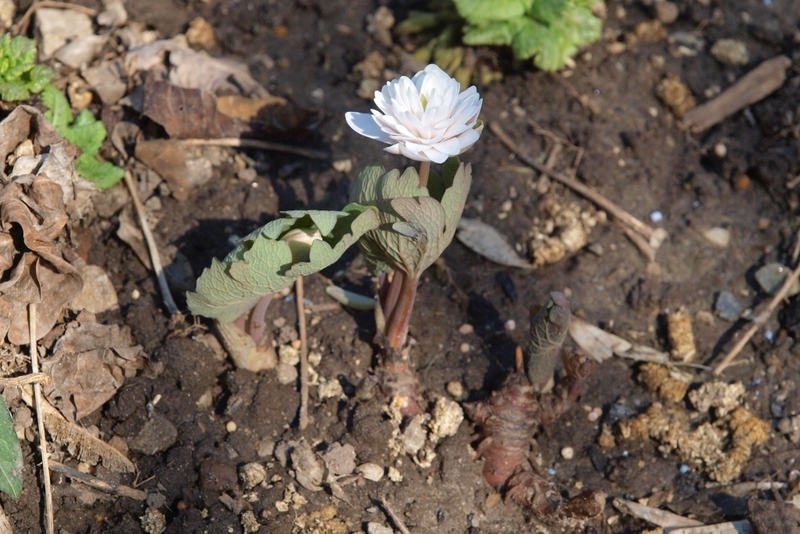 Because this plant does not set seed, the individual blooms will last much longer (up to a week or more) than the blooms on the native single form of bloodroot that drop their petals as soon as the bloom has been fertilized. Propagation of this plant is only accomplished by vegetative cuttings. 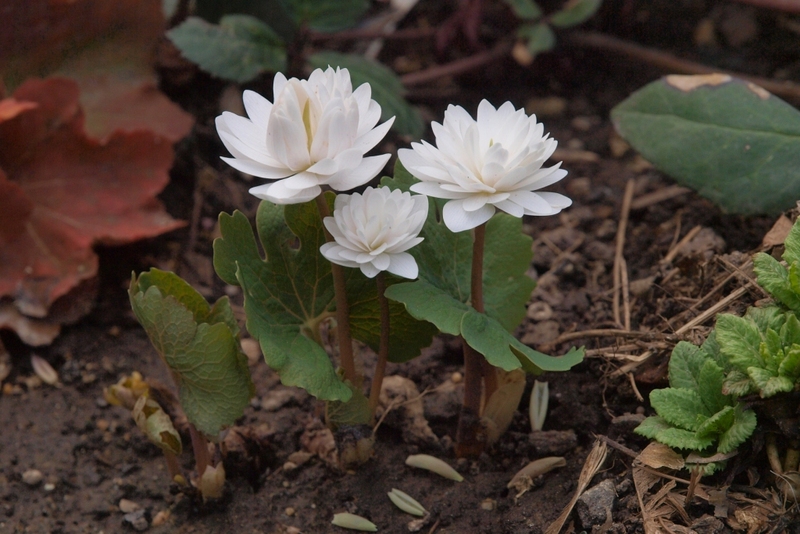 Today this Double Bloodroot is found in the odd connoisseur's garden but is considered somewhat rare and difficult to find for sale. A woodland plant in nature, this plant seems to be quite tolerant of different soils and moisture conditions. It grows well anywhere from deep shade to part sun. Bloom for us starts the last week of April or early in May. Bloom height is around 5", and foliage may grow to 12" to 18" after the bloom finishes. Bloom from start to end can last as long as 2 weeks. Please Email to enquire about availability. 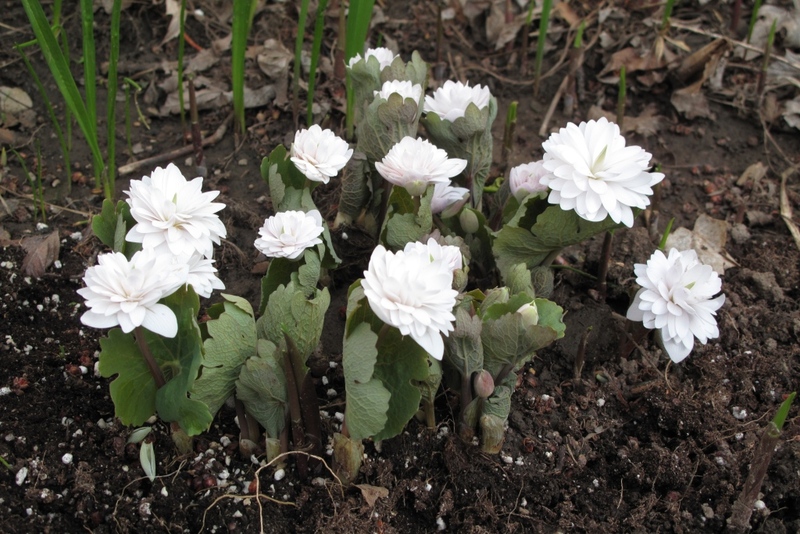 These plants will be available for pickup only (sorry no mailorders of Bloodroot). 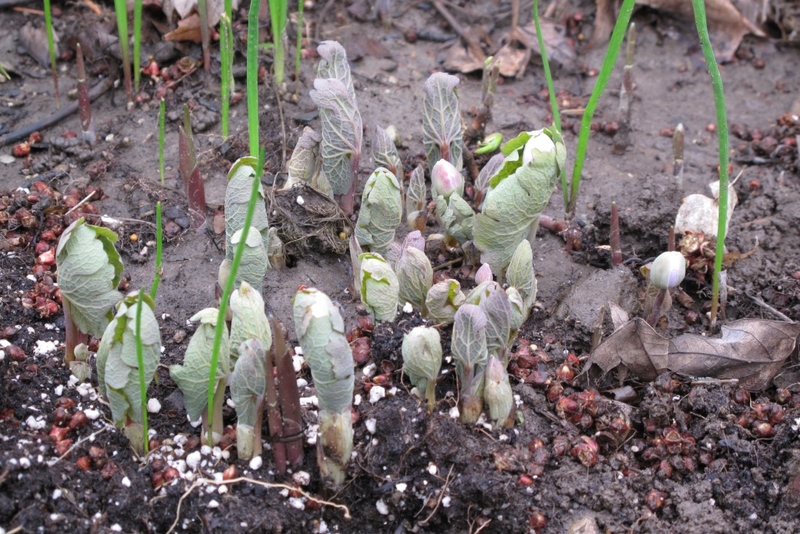 Buds just breaking through the soil surface in early spring. 3 Days Later blooms are starting to open. Closeup showing the bloodred rhizomes just at the soil surface. One of the most beautiful flowers in the garden.